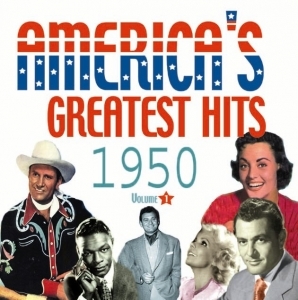 The first volume in a new companion series to our British Hit Parades featuring 25 of America's greatest hits from each year commencing in 1950.Every No 1 and No 2 hit of the year is included in its original version. The tracklisting speaks for itself and with annotation featuring details of every song and performer by the Guinness Book of Hit singles editor Dave Mcleer this will be a much in demand release. Full specialist magazine and radio mailout.